(TNS)—Q: With the new year upon us, my partner and I want to buy our first home. Do you have any advice on how to find the best house at the best price? A: There’s no such thing as “the best” house; there is only the best house for the two of you. As with most things in life, proper preparation is the key. Get together and first decide where you want to live. For example, if there are kids in the picture, a good school district is important but tends to raise prices, so you may want to avoid that area if schools are not a priority. You should not feel stuck in the same neighborhood you live in now, unless you love it there. After this, you should each make a separate list of the five features of your new home that are most important to you. Your partner may prioritize a garage while you want a swimming pool. Now it’s time to find a real estate agent. Real estate is very local, and you will want an agent who is experienced in the neighborhoods you are looking in. The internet can be an excellent resource for this, as can your local board of Realtors®. Interview a few agents to find one that you mesh with and who has experience in the particular area you are looking for. 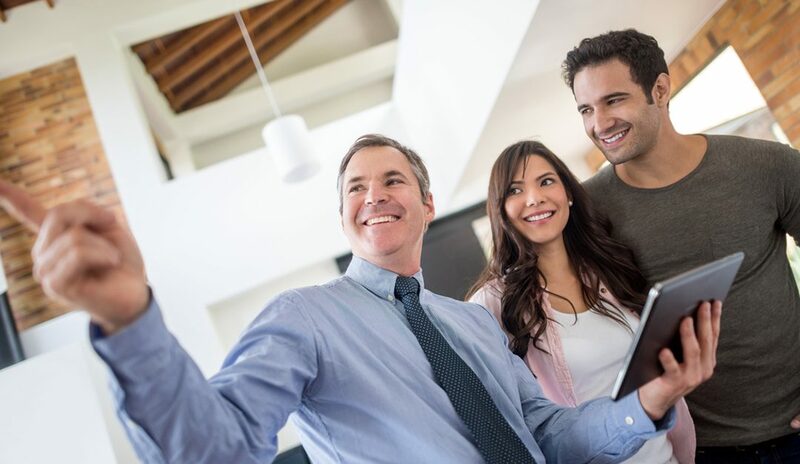 Show your new agent the list of features you both want and ask to see homes that check off most of the boxes. Make sure to look at a variety of houses and give your favorites a second look before making an offer. Take your time and do not feel rushed. Keep your proprieties in mind and keep looking. The average buyer will look at 10 houses, but it’s OK if you find your dream home on the third look or the 30th. This is a situation where you will literally need to live with your decision.